Just wanted to share a perfect example of hand engraving. A Mom who loves butterflies wanted to keep her daughter's picture and a cherished painting in one piece of jewelry. 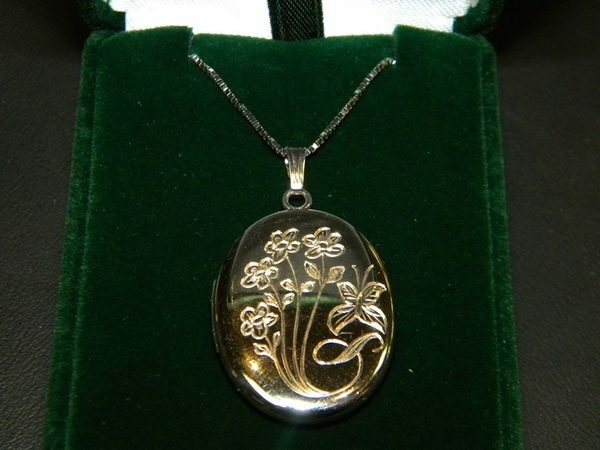 A locket was the perfect solution, large enough to keep the detail of picture and painting, but feminine. We found this design and our talented hand engraver added this to the front of the locket.